Douglas Olmstead, 2008 Dutch Boy drum major, submitted this photo and caption. This photo is of Dutch Boy's drum line treking through a parking lot. 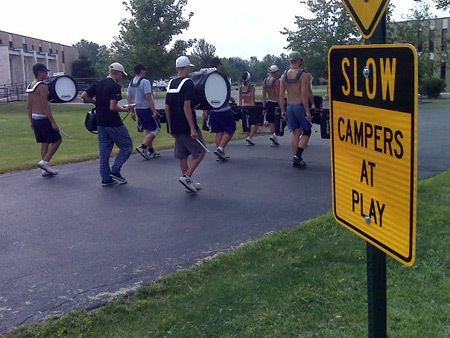 The sign "Slow: Campers at Play" seems oh so perfect. I hope the metronome didn't disturb the neighbors!